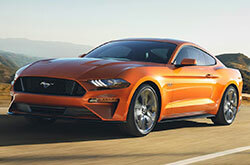 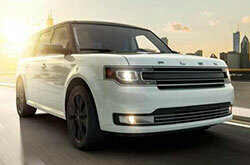 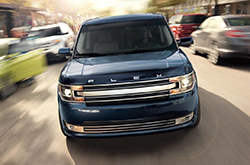 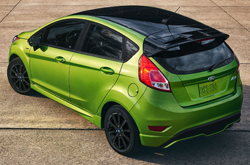 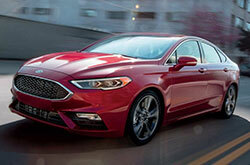 Want to learn more about the Edge, Fusion, Mustang, Flex or another Ford model? 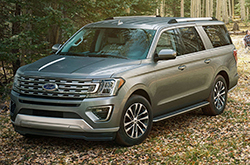 What if you could find out all about their cabin features, powertrain options, colors, body styles, trims, warranties and more, plus see how they compare to segment competitors? 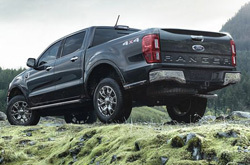 Well, with the Camelback Ford reviews and car comparisons gallery below you can do just that. 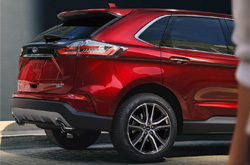 Before heading all over town to check out cars, find out what the vehicles in our lineup can offer you and read Ford vs. Honda, Toyota, Mazda, Nissan, Hyundai, Acura and other comparative reviews for each model. 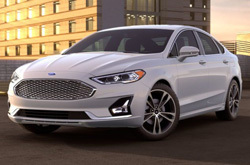 If you're shopping for an affordable and fuel-efficient passenger car like the Fusion, Taurus or Fiesta in Phoenix, Arizona, Camelback Ford's got many options for you to choose from and you can learn all about them in our Ford reviews and car comparisons archive above. 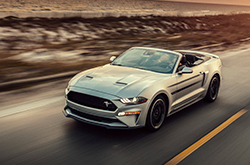 We've got full reviews for every current-model-year Ford available on our lot, plus handy comparisons that will allow you to see at a glance how the models above compare to their industry competitors. 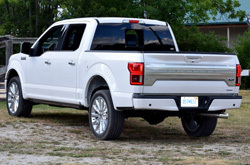 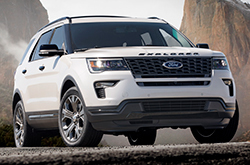 For example, you can find out how the Ford Explorer, Flex or F-150 compare to similar vehicles from Chevrolet, Dodge, Toyota, Volkswagen, Cadillac and other brands. 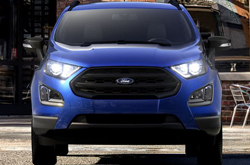 All comparisons were researched and composed by a third-party company, so you can be sure you're getting accurate, unbiased information. 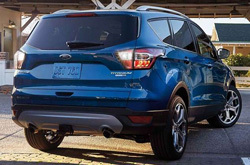 Once you've had a chance to check out some reviews, head to our Ford dealership in Phoenix, Arizona, where you'll find a large selection of vehicles priced to move fast. 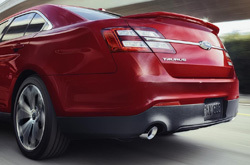 We're conveniently located off Camelback Road between 13th and 16th Street, just west of the 51 N Fwy. 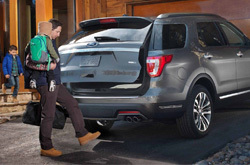 Stop by and one of our friendly sales representatives can help you decide between the Explorer and Escape, or perhaps the Fiesta and Focus if you're in the market for a compact car. 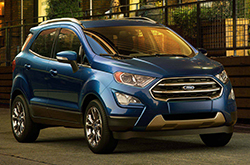 When you visit, also remember to ask about current Ford lease and finance incentives for Phoenix shoppers. 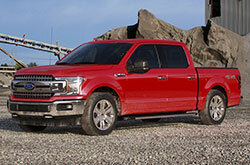 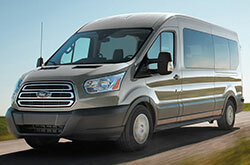 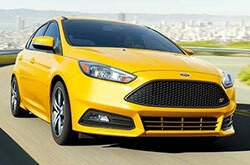 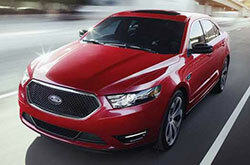 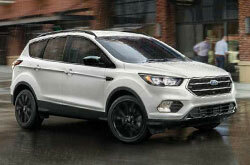 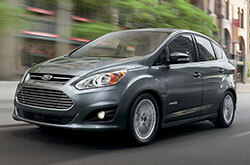 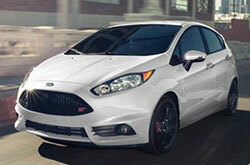 Review and compare Ford cars, trucks and SUVs now. 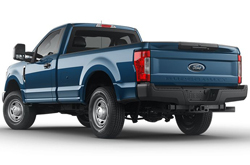 Our gallery is easy to use: Simply click "Research" to read a comprehensive review with information about powertrains, warranties, mpg and more, or click "Compare" to evaluate any of the models above against their competitors.